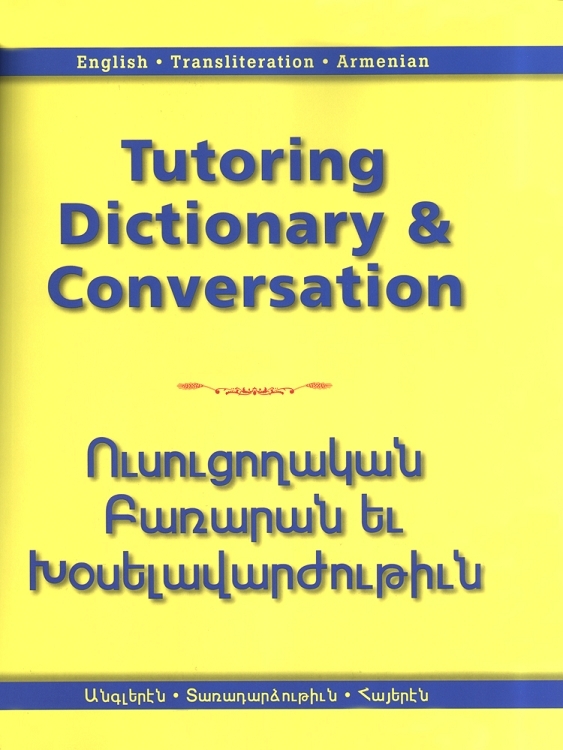 Tutoring, Dictionary & Conversation presents readers with the Armenian definitions of English words and their transliterations. Acknowledging the various backgrounds of its users, this self-teaching dictionary contains essential words and up-to-date terminology, as well as more specialized vocabulary from the fields of science, history, religion, medicine, education, the arts, business and sports. Naturally, this volume stops short of being an encyclopedia or a linguistic manual, which explains roots and origins of Armenian words. Its intent is to give readers broad exposure to the Armenian language. It will assist readers in enriching their knowledge of spoken and written Armenian, encourage beginning language learners and, with hope, inspire in all a deeper appreciation of the breadth of the Armenian language. In the first part of the book, words are presented in three columns: the first column contains the English word, the second contains the English transliteration of the Armenian word and the third contains the word written in the Armenian alphabet. In the second part of the book, readers are supplied with essential phrases on topics organized into themes like culture, history and religion to kick start their conversation skills. Readers are also taught very basic grammar, which are supplemented with exercises. In the conversation, everything appears in English, transliteration and Armenian.